This book begins with the observation that contemporary artists have embraced and employed gravity as an immaterial readymade. Necessarily focusing on material practices – chiefly sculpture, installation, performance, and film – this discussion takes account of how and why artists have used gravity and explores the similarities between their work and the popular cultural forms of circus, vaudeville, burlesque, and film. Works by Rodney Graham, Stan Douglas, and Robert Smithson are mediated through ideas of Gnostic doubt, atomism, and new materialism. In other examples – by John Wood and Paul Harrison, Gordon Matta-Clark, Peter Fischli and David Weiss, Trisha Brown, and Bas Jan Ader – mass and momentum, falling objects, and falling bodies are examined in relation to architecture, sculpture, and dance. In performances, projects and events curated by Bruce Nauman, Santiago Sierra, and Catherine Yass, gravity is resisted in Sisyphean ordeals and death-defying stunts. This account of contemporary art and performance, read through the invisible membrane of gravity, exposes new and distinctive approaches to agency reduction, authorial doubt, and redemptive failure. Text: James Catherine. pp. 208; paperback. Publisher: Peter Lang, 2017. 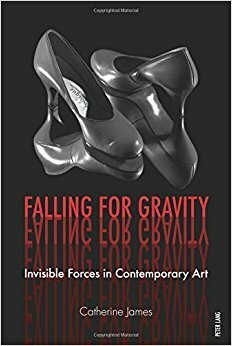 Request info for "Falling for Gravity: Invisible Forces in Contemporary Art"